They say it always happens when you least expect it. Often times, it’ll hit you when you’re simply going about your daily business in a perfectly ordinary spot, like a Starbucks or, in my case, an office. Until this summer, I had always been skeptical of the whole “love at first sight” thing, but I’ll admit it. I fell in love during the first week of my internship. I FELL IN LOVE WITH THE WAY OUR GOVERNMENT WORKS AT THE LOCAL LEVEL AND I DON’T CARE WHO KNOWS IT. I know it’s pretty taboo these days to do anything other than bash our government. Showing support for such radical ideals as, I don’t know, a representative democracy (“But Congress gets nothing done!”) or a separation of powers (“Thanks Obama!”), etc. tends to merit nothing more than eye rolls and criticism. I get it–many people would rather give up Chipotle for the rest of their lives than be forced to engage in the political process, often with good reason. Times are hard, tensions are rising, and our leaders are losing the trust of the American people who are growing rapidly disillusioned with the way our country is run. But I had an incredible summer that showed me how our government has the potential to truly help people, so hear me out. Let me first make an important distinction. Government is not the same thing as politics. In my own words, government is the infrastructure through which a nation’s rules are carried out and services are provided to its population. Politics, on the other hand, is the calculated process by which decisions are made. American politics primarily revolve around deciding who should be the leader of our government. Maybe it’s just me, but I think it’s our nation’s election process that gives government such a terrible reputation. Take the 2016 presidential race: there are many factors that are already causing Americans to tune out over a year away from the election (think: Clinton v. Bush Round 2, billion-dollar campaigns, Donald Trump’s hair, Donald Trump’s platform, the actors Donald Trump paid to attend his announcement, etc.). We’re not doing a great job of ensuring to the public that the leaders they will elect have their best interests in mind. Politics and government are certainly related; but let me assure you that you can be disillusioned by American politics without giving up entirely on our system of government. Anyways, I digress. I got to spend 10 wonderful weeks this summer as an intern for United States Senator Tom Carper, who represents the state of Delaware. 10 whole weeks of government, and NO politics were required. **Warning: Quick American Gov. Recap** A senator’s term is 6 years. 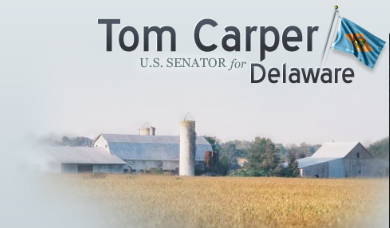 Senator Carper was last re-elected in 2012, which means that he doesn’t really have to actively campaign for another year or two. 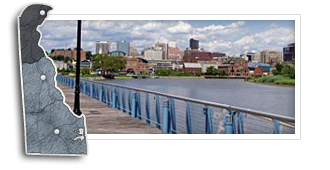 This allows him and his staff to simply focus on helping people–both at home in Delaware, and throughout the country. In addition to their main office in Washington, D.C., senators also have regional offices throughout their home state. While the D.C. office tends to have a more legislative focus (please reference “I’m Just a Bill” should you need any further explanation), the regional offices specialize in individualized constituent casework. Casework can range from helping a widowed senior citizen with her Social Security paperwork, to helping a veteran find subsidized housing, or acting as a liaison between an individual and a governmental agency like the FDA or EPA. If you’re working in a governmental office (and this definitely also applies to a position in customer service), just remember that no one is calling to tell you that you or your office is doing a good job. They either need your help, or are just angry. Often both. Don’t take it personally. Phone etiquette is everything. Using formal language makes the person on the other end of the line feel more respected, and doesn’t necessarily give it away to them that you’re just an intern. It’s better to put someone on hold and ask your advisor a dumb question, rather than try to handle it yourself. Despite enduring a few unpleasant phone calls, I really loved being part of the casework process. While the senator himself doesn’t have time to sit on the phone with every constituent that calls in with a concern, he hires talented and caring staff members who strive to help the people of Delaware on his behalf. I got to watch (and sometimes actively assist) his staff members helping Delawareans every day with problems big and small. Federal lawmakers can spend years trying to pass big initiatives that could improve the lives of thousands of Americans, but fail to do so in light of budgetary constraints and political gridlock. While the work that goes on in Washington has a far larger scope of influence, I believe that at the end of each day, more good is accomplished in regional offices across the country. Washington, D.C. is the home of big-picture government, while the staff members in local offices get to refine the details due to the absence of political pressure. I can only speak to my experience, but I’m sure the same goes for congressional offices in every state. Behind your elected officials are full staffs of competent employees ready to help their constituencies. If you call into your senators’ regional offices, you’ll speak with someone who likely lives nearby and understands what’s going on in your community; they will be useful resource to you. Or, if you wish to voice your position on a policy, I promise that your comments will be recorded and passed along to staff members who will do something about them. If rising student debt pisses you off, write to your congressmen! If you don’t agree with the Iran agreement, call their offices! It’s up to us to engage in the democratic process afforded to us. If nothing else, we’ll be giving an intern something worthwhile to do. Sarah is a Public Policy major with an Economics minor at the University of Delaware. She is the Treasurer for the College Democrats and both the founder and communications director of Blue Hens for Hillary on campus. Additionally, Sarah is in the University of Delaware Honors Program Class of 2016 and a Social Media Ambassador with the Twitter account @BlueHenSarah. Next: Next post: #UDIntern: What Happens After Graduation?